author and dolphin communicator studying the nature of consciousness. 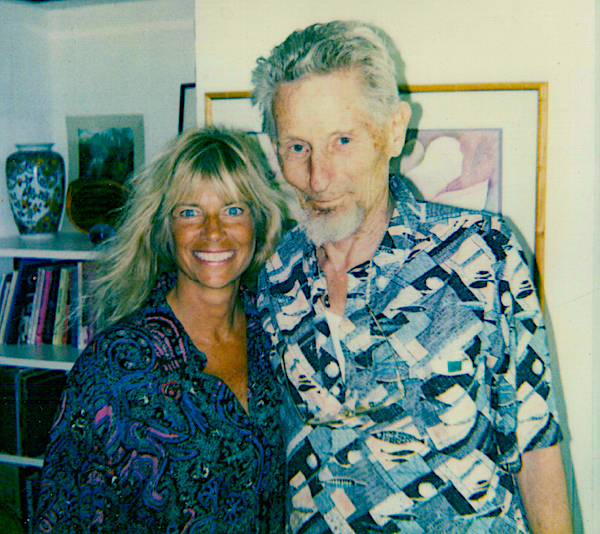 Dr. John Lilly: I understand that cetaceans are intelligent. I would like to know if the higher consciousness of which humans are capable – some people are in those states – are pushed even higher among the whales, dolphins and porpoises. Are the states of consciousness of the cetaceans equal to, greater or lesser than the humans? John: Is it so much greater that we won’t be able to understand them? NINE: They will eventually change their code after the present one is broken, which is about to be. NINE: As it is they (cetaceans) are deemed the watchers, the caretakers, the most intelligent sea creatures to your understanding, but what would they be if their language was understood? They can relay messages over vast distances just using their natural habitat. Their energy flow is enormous in the balancing of the oceans. They would not wish to have such a direct communication with man because of the danger of their being interfered with in their lives and their work. John: Their life is already being interfered with to a vast extent by the whaling industry. They are being killed off almost to the point of extinction. My feeling is that if we can communicate and show man that they are highly intelligent and that they do communicate and have a language, we can stop the whaling industry at least. And if we do it in the open without the secrecy that the military people insist on having, people of goodwill can then aid them rather than do them in. NINE: This is an idealistic view, and in a power struggle between nations they would be imprisoned or killed. This is very clearly apparent to man’s very nature. John: So do we have selected genes, so that we can do nothing to change? NINE: Man’s nature -- Should mankind itself wish this change, it would simply happen. NINE: You must release this information over the years, and should man ever really need the whales and dolphins, they are here. John: Is there a present influence on man’s development by, say, extra-sensory means of the whales and dolphins that is causing man to evolve in the directions that this idealist (Lilly) is talking about? NINE: They can communicate telepathically, and many people have been affected by these communications such as in the area of nuclear disarmament, ending pollution, etc. John: So what is the point in their changing their code and changing their language if they are already in communication with certain humans? NINE: With certain humans. This is the word. We have already made the implications of a power struggle between nations. JOAN OCEAN: ARE THEY IMPLYING THAT NATIONS MUST NOT BREAK THAT CODE DUE TO WRONG-USE CONCERNS, BUT INDIVIDUALS CAN? WILL WE BE ABLE TO BREAK THE CODE AND SPEAK TO THE CETACEANS? NINE: For you, yes, but not mankind. Toni Lilly: Will a breakthrough be in language as we know it? NINE: No. In telepathy and the proving of its existence. John: Where on the planet should the first experiment of Human-Dolphin Community be done? NINE: We are in some confusion as to area because the whales have movements that differ to the dolphins, therefore a northerly direction would be clear for the whales while for the dolphins it is Mexico or Hawaii. Toni: I would like to know if the Nine have a question they would like us to ask. NINE: Yes, when will you take on the dolphins? Toni: Could they rephrase that? NINE: You have all experienced the dolphins’ level of heart but abandoned it. When will you make it a real part of your lives? NINE: Good. Then we will help at any time if asked. John: How do we ask? Do they have an 800 number I can call?!! NINE: If we can make direct link with you we will. This will come about in dream state and natural energy fields.